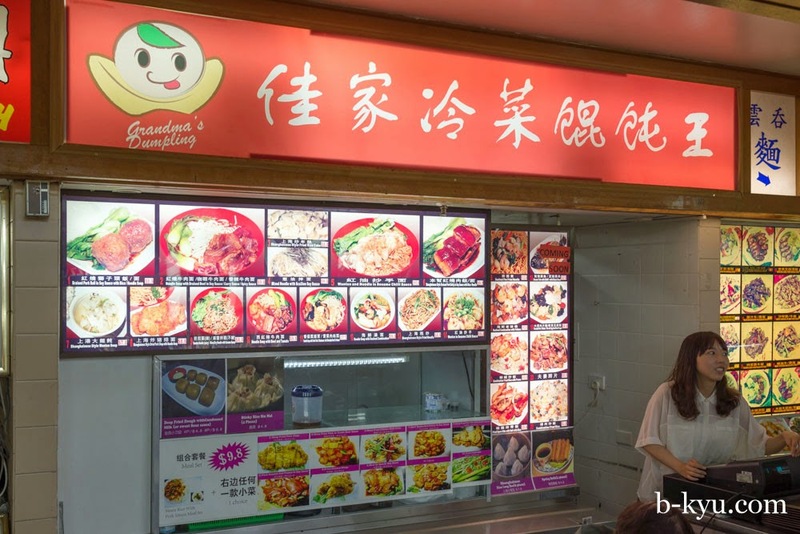 Jia Jia Dry Hotpot Kitchen in Dixon House Food Court began life as Grandma's Dumplings. The stall looked temporary when it opened but it's still going and now has a permanent menu board and a growing trade. Go grandma! This post is a few months in the making. The stall is often closed (grandma deserves her days off) and the menu keeps changing (as new stalls often do). There's a few more dishes we want to try but we thought we should post this before the menu changes again. Dan dan noodle 8.80. Noodles mixed with sesame sauce and tongue tingly Sichuan pepper, it has a lovely spicy bite to it. We're accustomed to more soup-y dan dan noodles but this dry version is a knockout. It's a deceptively large feed, it doesn't look large but that's all noodle in the bowl. 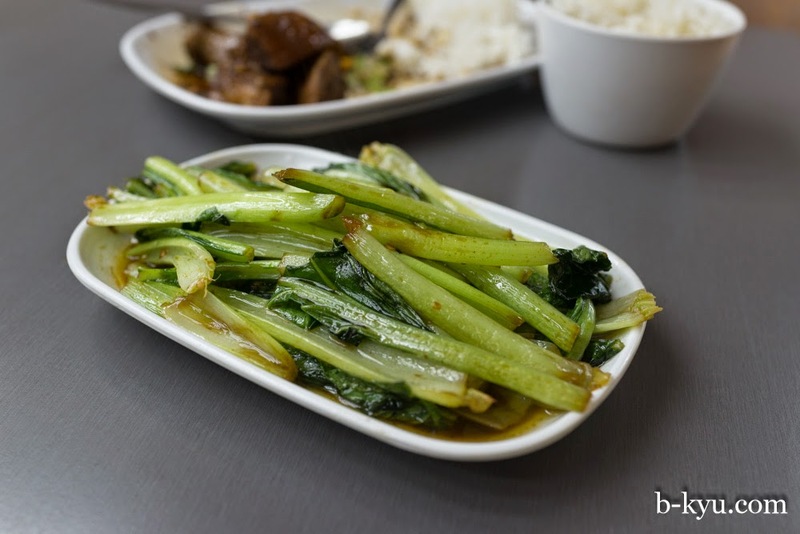 This is Mr Shawn's favourite dish here, followed by the version with scallion soy sauce below, the chef really nails these dishes. 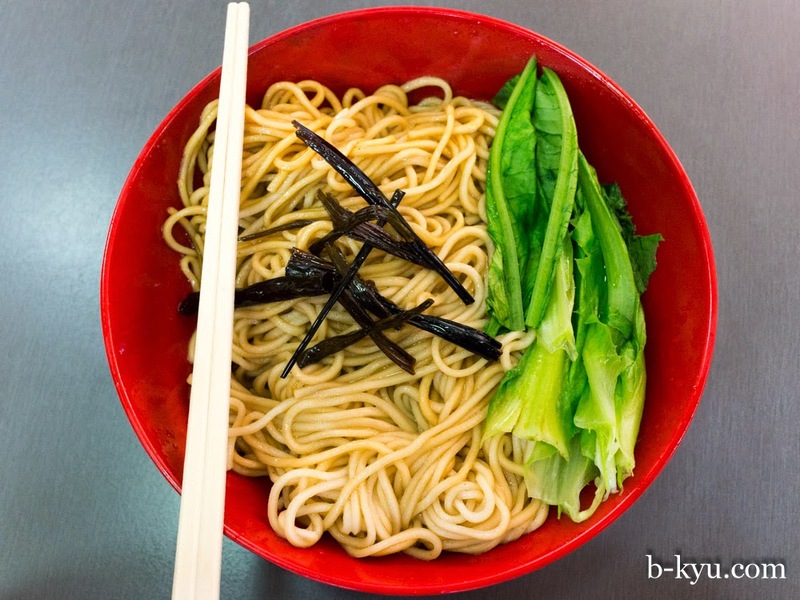 Mixed noodle with scallion soy sauce - $6.80. Like the dan dan noodles this is a bowl of nothin-but-noodles coated in sauce. It's a great sauce to, a nutty touch of soy, a little sweet, a nice balance to it. 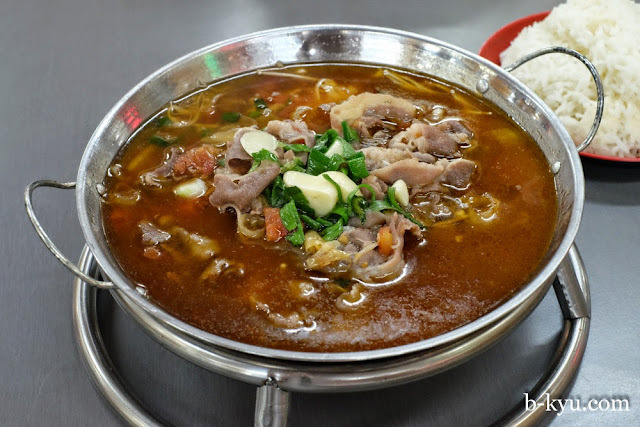 Sliced beef and Chinese pickle in soup - $10.80. A hot and sour soup with thin rashers of beef . 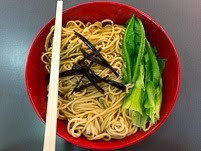 A thick tangle of enoki mushrooms and bean sprouts act as healthy stand ins for noodles. 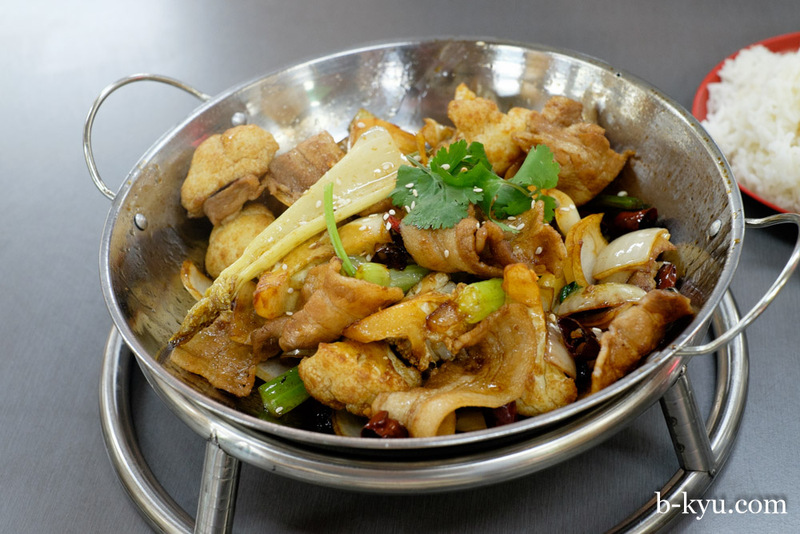 Stir fried cauliflower with pork - $9.80. Thin bacon-esque slices of pork with little hunks of cauliflower stir fried with a lovely smokiness to it, with dried chillis and salty little blackbeans. Dig below for a soy based sauce. 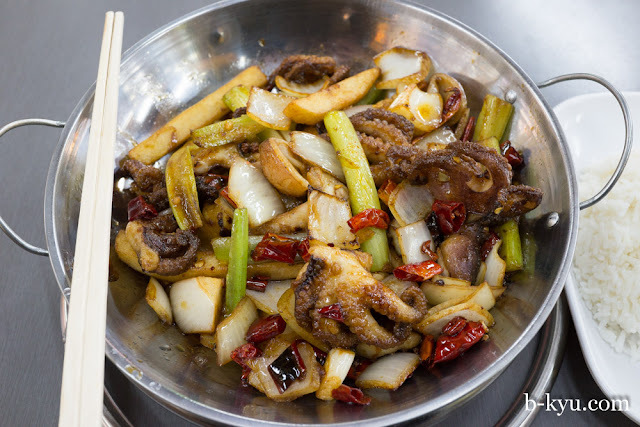 Stir fry calamari and mixed vegetables - $12.80. Flavoured with dried chili and a Sichuan pepper. Amongst the squiddie fun is onion, celery, fried lotus root and potato chips. The latter being an ingenious addition. It's not a Masterbowl experience but it's a good, spicy stir fry all the same. We'll be back for this when we feel like something light and spicy. 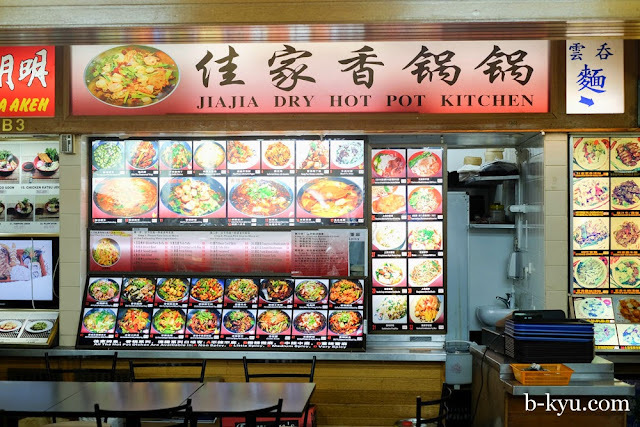 JiaJia Dry Hot Pot is in the Dixon House Food Court, Corner of Dixon and Little Hay Streets, Chinatown. 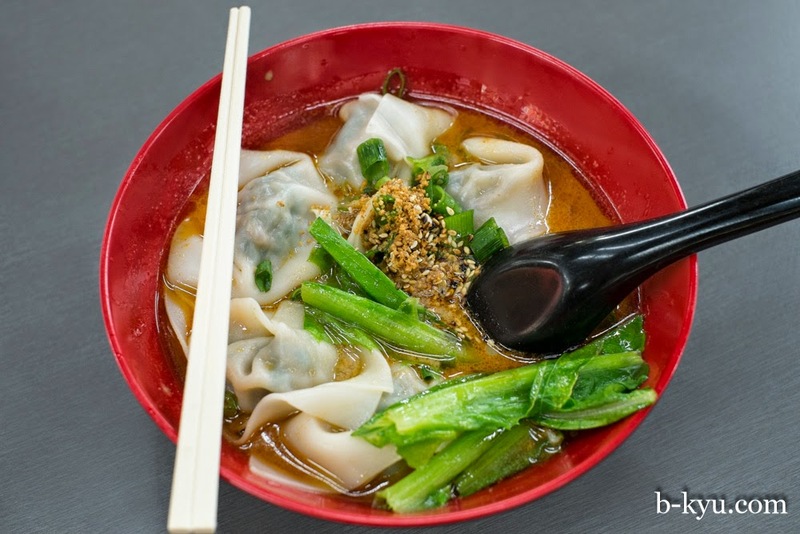 #14 Wonton in sesame oil sauce - $9.80. Fresh toothsome porky dumplings with plenty of greens in them.. The sauce is best described as a soup, a wonderful soup. The broth has a strong nutty sesame flavour and a big spicy Sichuan pepper kick, with a lovely calming milky consistency, the flavour is very similar to the dan dan noodle above. 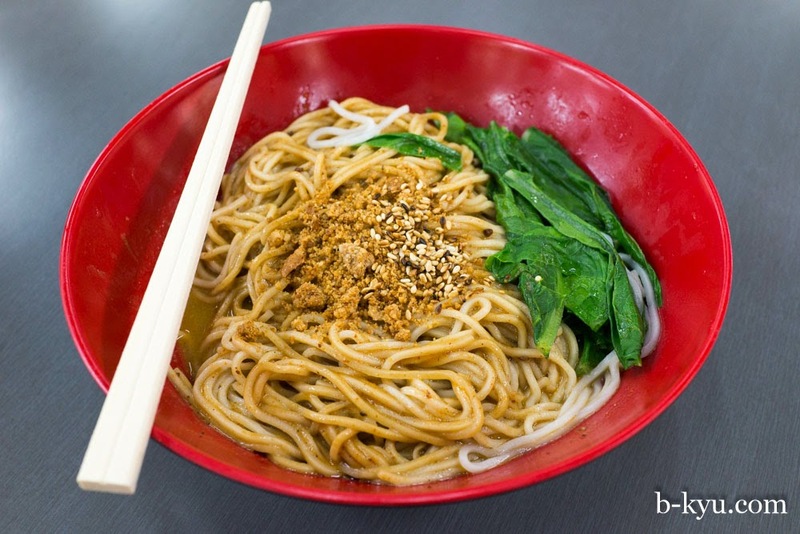 The flavour and texture of the broth also remind us very much of the most excellent dan dan noodles at the most excellent Taste of Shanghai in World Square. This is a kick arse dish. The new menu has a similar dish with noodles. 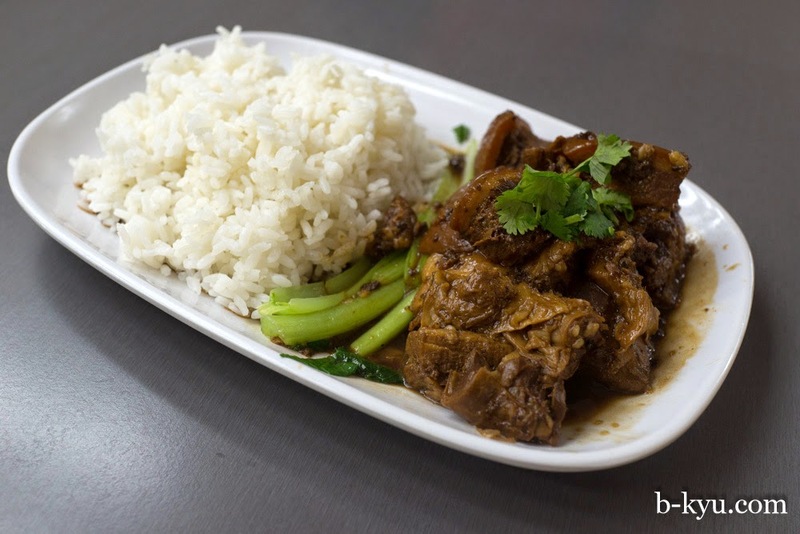 #6 Shanghainese style braised pork belly in soy sauce with rice (or noodle) - $9.80. Tender super moist pork hunks in a rich dark sauce with a touch of maybe star anise to it. This is really good stuff. Green vegetable - $6.80. A bunch of stems, a touch bitter and not so exciting, the oily soy sauce was pretty good though. This is the only dish we haven't loved here. #20 - $8.80. 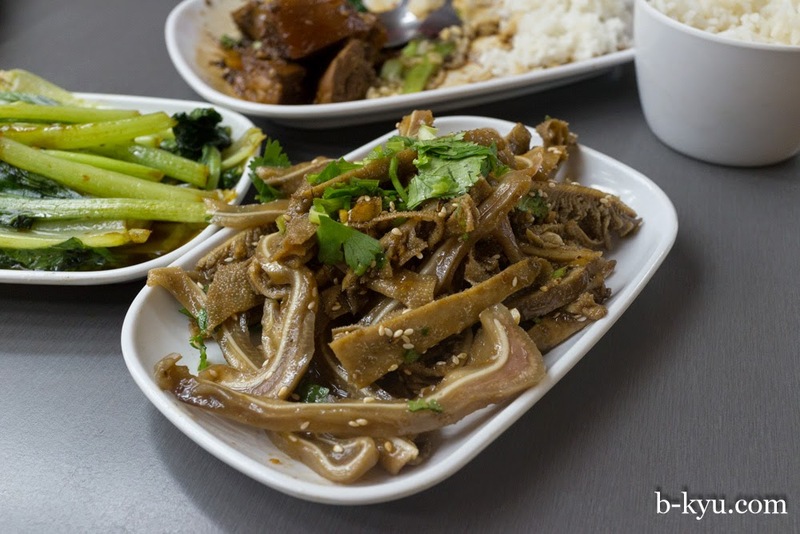 There's no English translation for this one on the menu, but it is fantastic, a mix of tripe and pigs ear served crisp and cool with Grandma's outstanding sesame\Sichuan pepper sauce. Awesome.